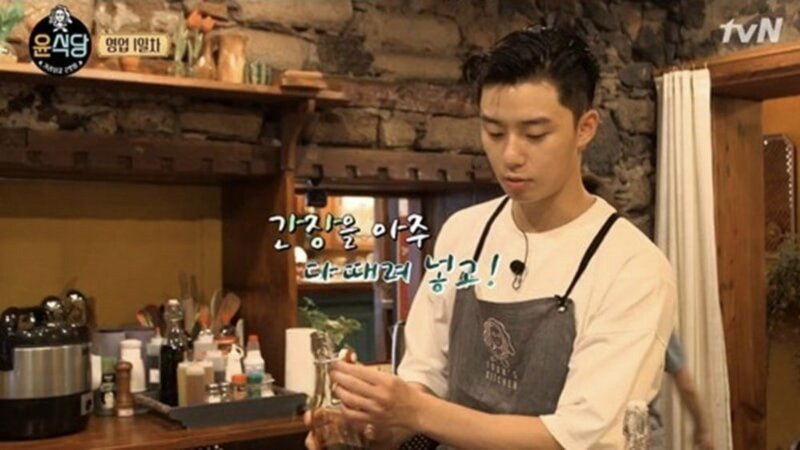 Actor Park Seo Joon�said his goodbyes to 'Youn's Kitchen 2'. "I noticed while watching the show that I kept saying the sky was pretty. I couldn't help it, but the sky was seriously so beautiful. It still lingers in my sight and remains vivid in my memories. Filming lasted only 2 weeks, but I got to learn so much. There were many things I tried for the first time, and there was a lot of pressure. They were all precious moments in my life. To PD Na Young Suk, the production staff, Yoon Yeo Jung, Lee Seo Jin, and Jung Yoo Mi, thank you for the unforgettable memories. And to those who gave lots of love to 'Youn's Kitchen', muchas gracias!" Did you see the finale of 'Youn's Kitchen 2'? ??? ???? ?? ?? ?? ????? ???? ?????. ??? ?? ??? ??? ???. ????? ?? ????? ?? ?? ?????. 2? ?? ?? ?? ?????? ?? ?? ?? ??? ?? ?? ????. ?? ??? ?? ?? ??? ??? ????? ? ??? ?? ??? ????? ?, ???? ???? ??? ????? ???? ???? ????? ??? ?? ??? ???? ??????,???? ?, ??? ?? ?????? ??? 2? ??? ?? ???? ??? ???? Muchas Gracias!